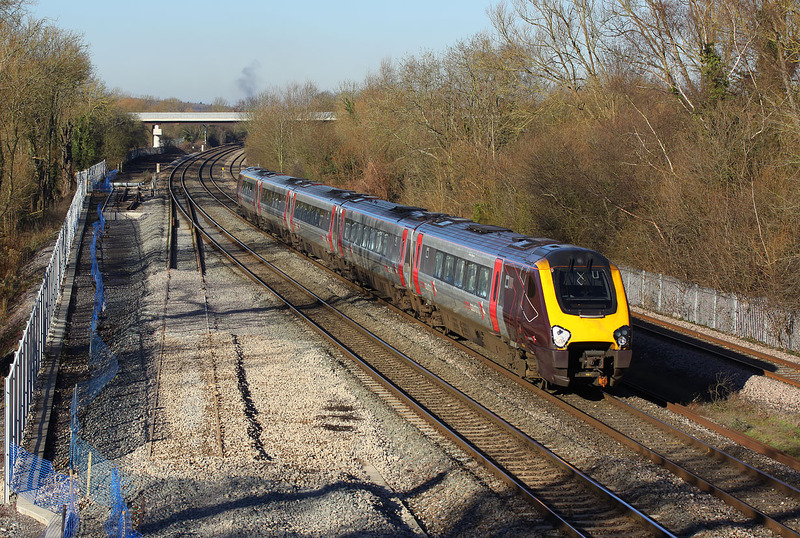 221140 passes Wolvercote on 19 January 2015 with the 1O12 09:27 Manchester Piccadilly to Bournemouth CrossCountry service. Prominent on the left is the new trackwork in connection with the reinstated down relief line. This was originally installed during the Second World War, between Oxford and Wolvercote, but lifted in the 1960s.